A French sleeping-car attending with an eye for the ladies hooks up with a wealthy widow and they get married. What he doesn't know is that she married him because she wants to stay in France. Complications ensue. Based on Aimee Stuart's play. Little Scots girl decides to use her inheritance for a "grand tour" of the Continent. Bert Bolton: I've read about most things. There's a lot of good reading wrapped round fish. Rare film appearance of music hall star Violet Loraine. This musical comedy from the early years of British talkies is one of only two films to feature once popular music hall and recording star Violet Loraine. In it she plays Bessie Bolton, a fishmonger's wife who is "discovered" by a film studio when her singing is accidentally recorded while they are filming at Billingsgate Fish Market. 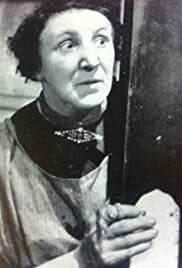 The rest of the film concerns the effects this has on the rest of her family, husband Bert(well-played by familiar cockney character actor Gordon Harker), son Fred (a thankless part for John Mills) and daughter Pearl (a gross caricature of the working class by Kay Hammond). Unfortunately plot-wise not much of this is very entertaining, and perhaps apart from Violet Loraine herself and Gordon Harker, Drusilla Wills as Mrs Wigglesworth comes off best. While the role of Italian film director Guidobaldi (Anthony Holles) may have been intended as humorous it falls flat from start to finish. Miss Loraine and fellow music hall star George Robey were responsible for introducing one of the most popular songs of World War I, "If You Were the Only Girl in the World". While none of the musical numbers in this film approach that kind of success, one must admit that they are pleasant enough on the ear without being in any way memorable, and in fact the musical numbers are probably the best thing about the film. Which I guess in its own way is a tribute to an almost forgotten leading lady from the British music hall past.